Obituary for Shirley Irene (Saunders) Endicott | McCall Funeral Home, Inc.
Shirley Irene Endicott, 93, died on Nov. 5, 2018 in McCall, Idaho. She was born June 18, 1925 in Eugene, Oregon to Raymond and Carol (Strickland) Saunders. In October 25, 1947 she was married to George (Swede) Endicott and they had three children: Sondra Hinkley, Barbara Endicott and Steven Endicott. 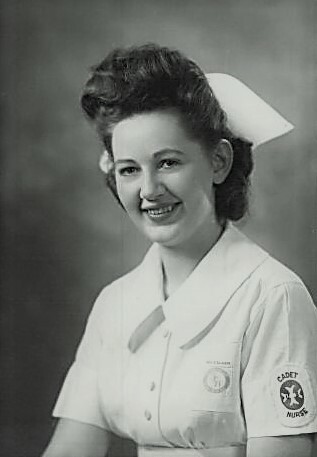 Shirley spent four years in nurses training during World War II, when she graduated the war had just ended so didn’t get to serve. Shirley and Swede owned the Shell Station in White Bird, Idaho, then purchased an outfitting business that covered the Buffalo Hump, Salmon and Snake Rivers. They then moved to Riggins where she worked at the McCall Hospital during the 70’s until she retired. After her retirement they were camp hosts at Hells Canyon for 10 years. She loved being a camp host living on the river, boating and fishing. Preceding Shirley in death was her husband Swede Endicott and her son Steven Endicott.